Why are women SO obsessed with shoes? Because there are so dang many of them all over! So many colors, styles, heights, textures....just.....SHOES! 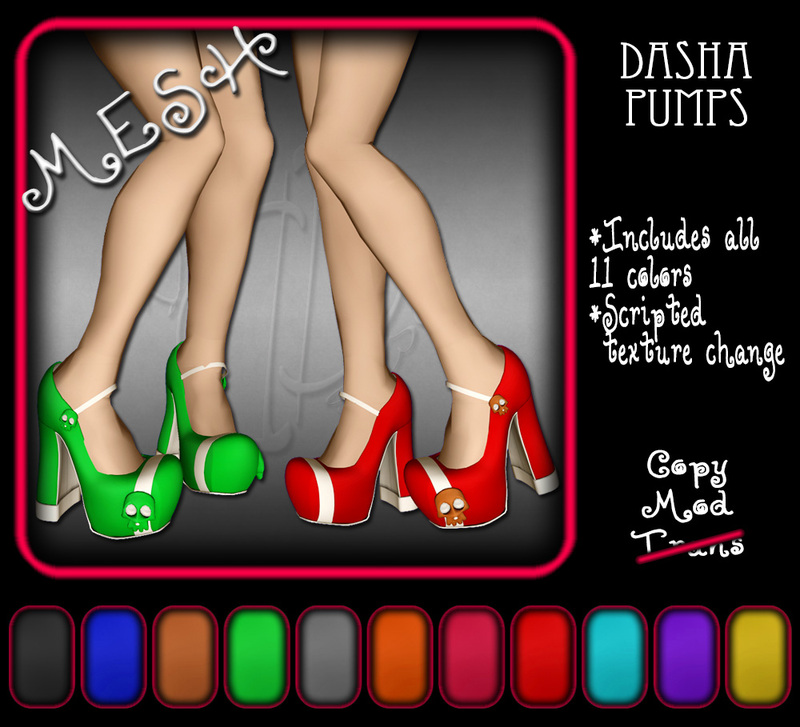 And by popular demand, I have released the "standard" color packs of the Dasha Pumps, and I may have gone a little bit overboard with them! 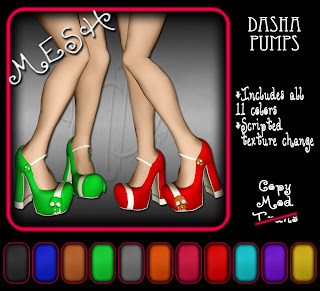 100% mesh, the Dasha pumps come to you in 10 more packs! These mesh shoes are not rigged, and are modifyable! Pop into the main store now, to grab a demo! Until next time, my lovelies!